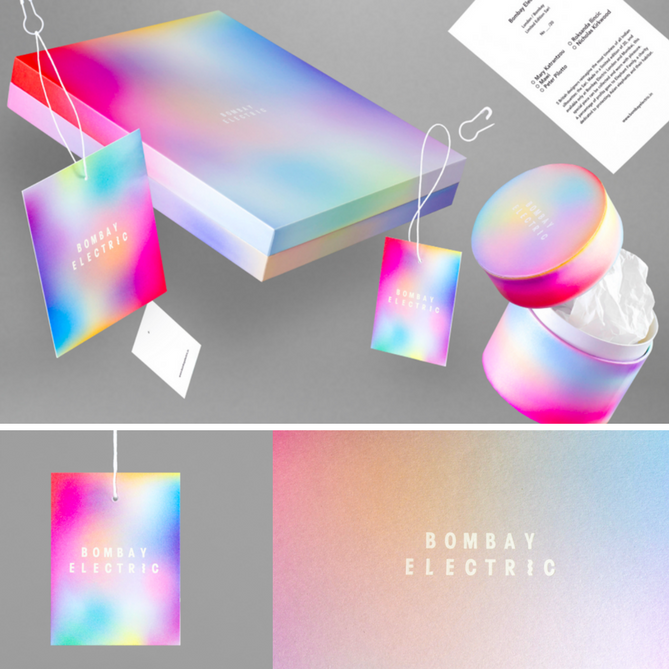 If you need some more convincing that working with small businesses can result in some stunning creative work, we've put together a list of 15 small business branding examples to get you inspired for your next project. 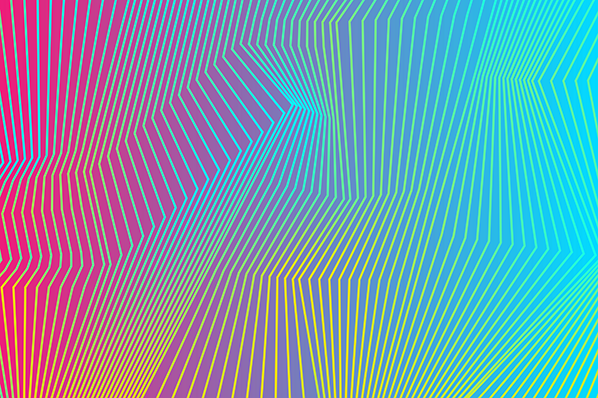 "The biggest goal was to be different, unique, and eye catching," Karolos said in an interview with The Dieline. "Although the Greek god theme in tourist shops here in Greece is very common, by using my illustration signature style we managed to give a different take on an overused theme. 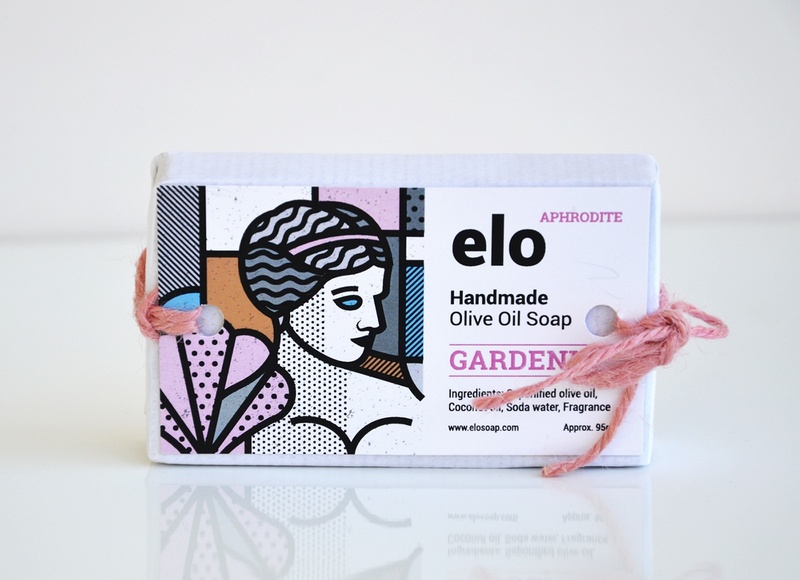 The result was a modern, fresh, and at the same time kind of traditional packaging due to the theme we chose." 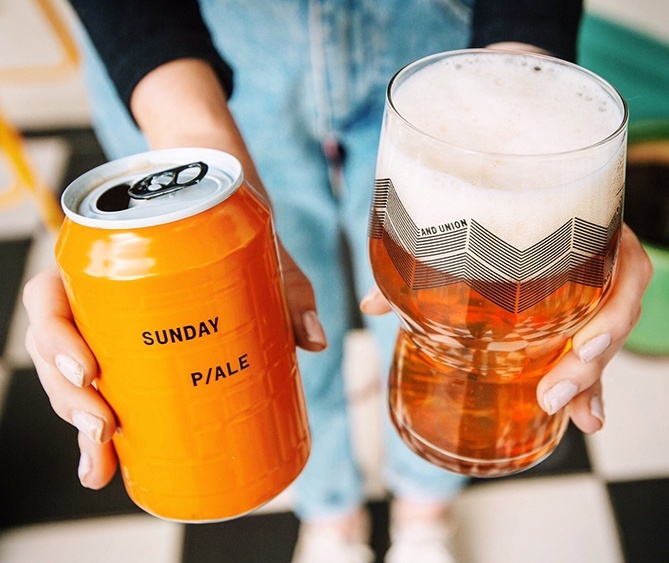 "There is still that stigma, even though many craft brewers before us have done such a great job in educating the consumer, we want to do our bit too," co-founder Rui Esteves said. 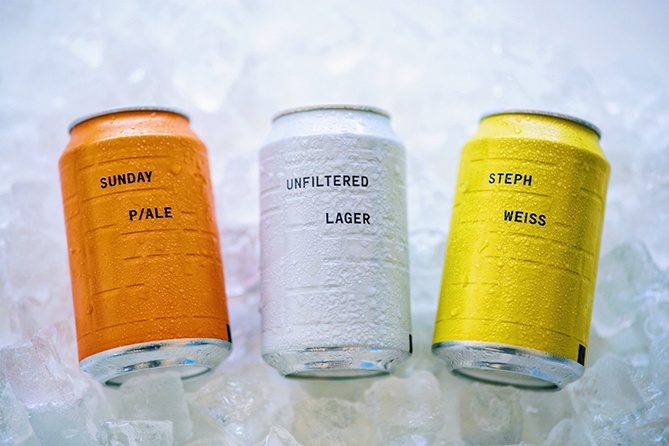 "We wanted to create a can that you hesitate to throw away after you’ve had the beer. I end up leaving stacks of these empty cans in my kitchen because I feel bad throwing such a beautiful thing in the recycling." EAT MY SHORTS! (Yes, that's an intentional Simpson's reference) is an independent, gender-neutral clothing line by fashion designer Malena Blas, who worked with Mexico City-based designer Tomás Salazar to create a contemporary brand identity and packaging solution. 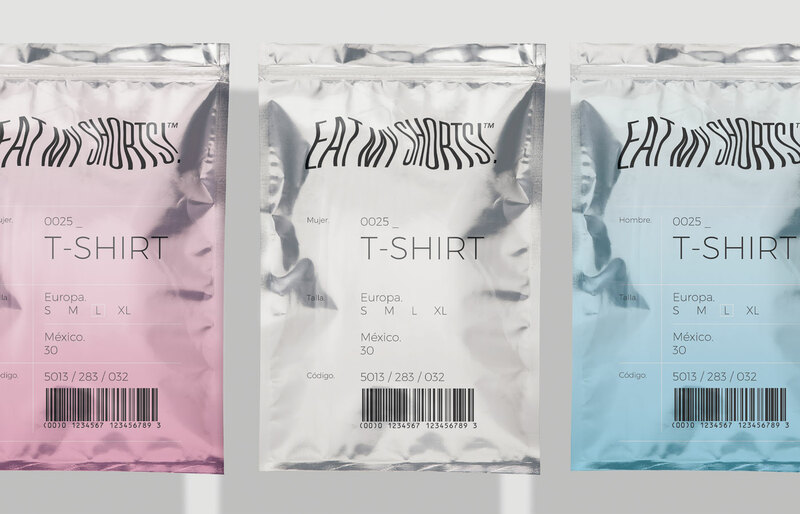 The company's shirts are packaged in pastel-colored metallic pouches with no reference to gender, and the trendy cotton candy hues are used throughout the brand's promotional materials. 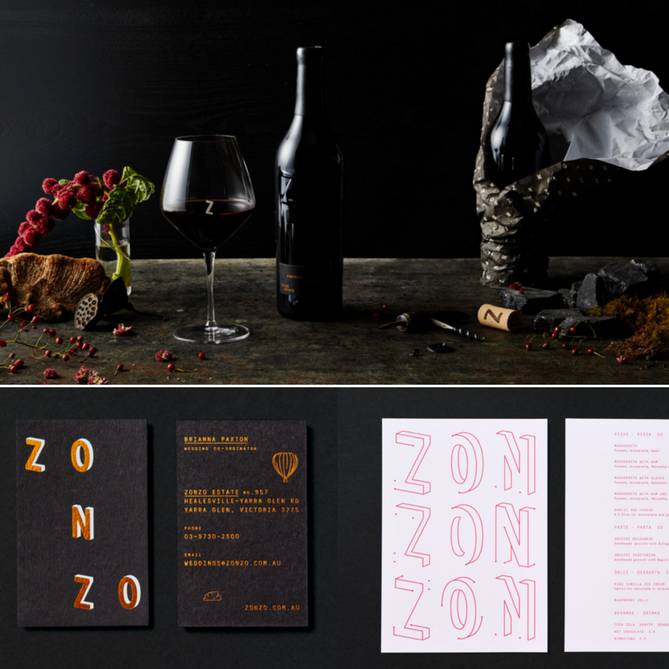 Swear Words, an Australian design firm, was tasked with creating a sophisticated, energetic rebrand for Zonzo Estate, a winery, restaurant, and popular wedding destination in Melbourne's Yarra Valley. This small artisan community in Peru was branded head-to-toe by Leo Burnett Design, the design department of Leo Burnett's Canadian branch. "We created the brand’s identity from top to bottom, giving it a name, wordmark, brand story, lookbook, promotional material, and retail tags," the Leo Burnett team writes on their website. 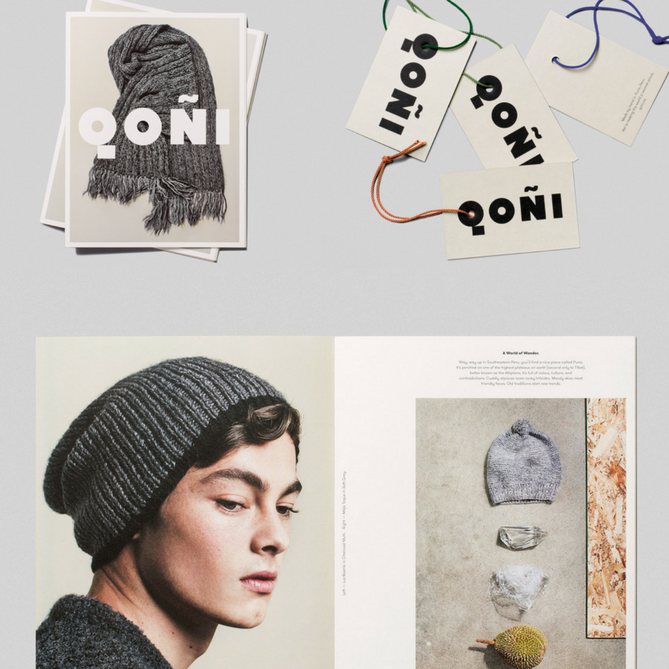 "Qoñi, meaning warmth in the region's native language, was perfectly suited to the brand’s line of cozy alpaca goods." 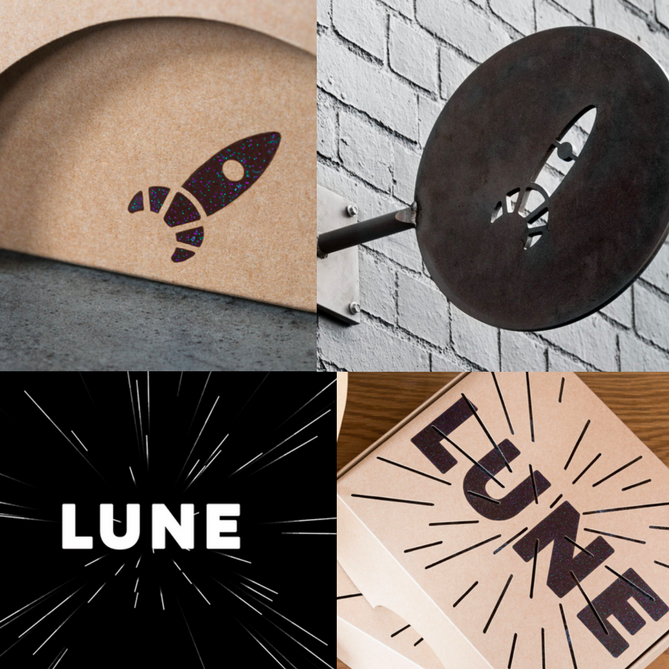 Lune is a futuristic bakery with a serious, scientific commitment to perfecting their signature pastry. It makes sense then that their branding -- developed by Melbourne-based agency A Friend of Mine -- combines science and baked goods in the form of a croissant-tailed spaceship logo. "The packaging we designed features diecut 'hyperdrive' ventilation slots in a galactic theme (taking cue from the name Lune) which acted as ventilation for the pastries, paired with a subtle glitter print for a further cosmic touch," writes the team from A Friend of Mine on their website. "We also redesigned their much loved rocket motif, and we couldn't resist adding a little croissant in our update." 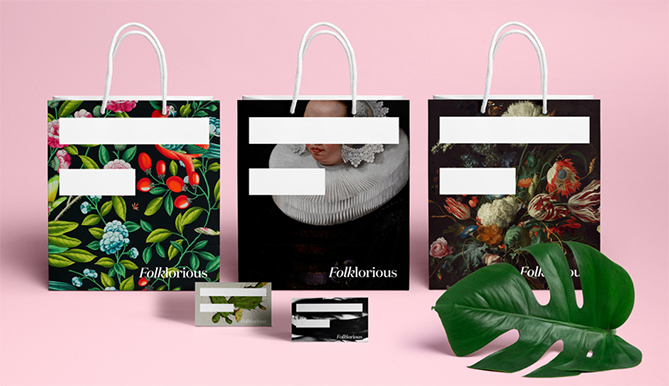 Thanks to Studio MPLS, this botanical fragarance startup has a charming, Victorian-inspired brand identity that still manages to look modern. 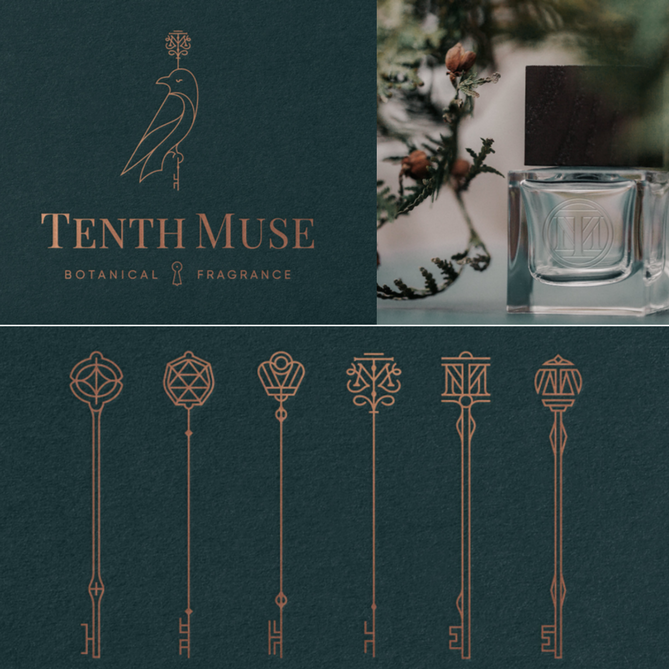 Tenth Muse creates custom perfumes from natural, sustainably sourced ingredients, and their packaging and promotional materials elegantly "combine[s] clarity and beauty with intrigue and mystery." 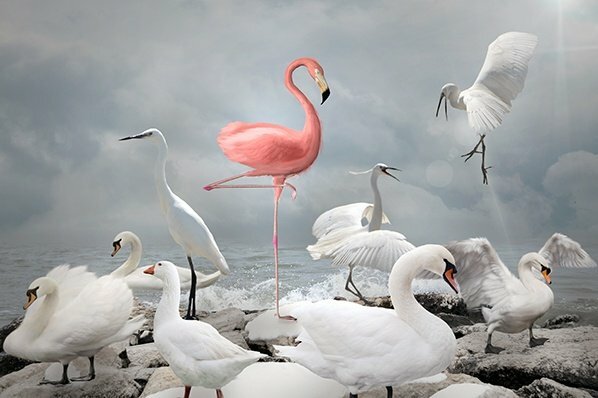 "When approaching the work to put a new image on the company I knew that there was no way around colors and vibrancy," Michael writes of the project on his portfolio website. "Framed by a rather minimal typography and grid, the intense color gradients are drawn to look like blurry abstract photographs, as if taken inside an Ann Veronica Janssens installation." 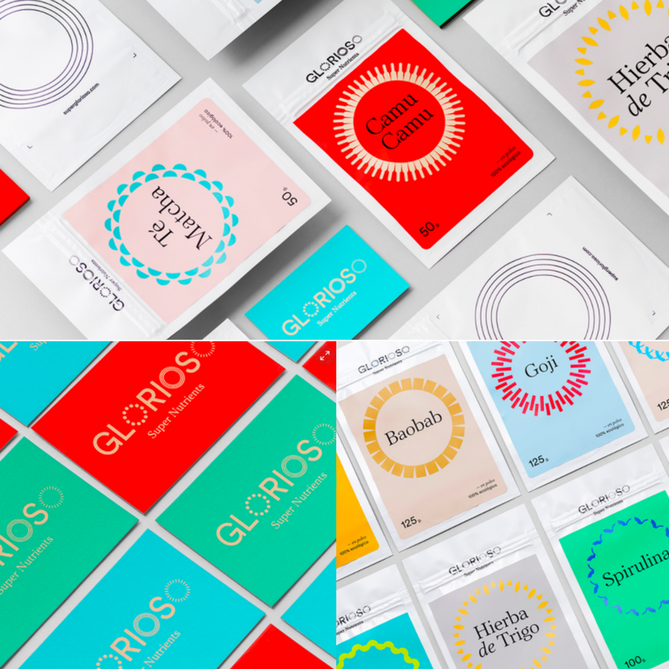 Glorioso's entire brand identity, which includes a range of colorful business cards, was developed by Barcelona-based agency Requena. The circle motifs are used throughout the brand's website and other promotional materials. 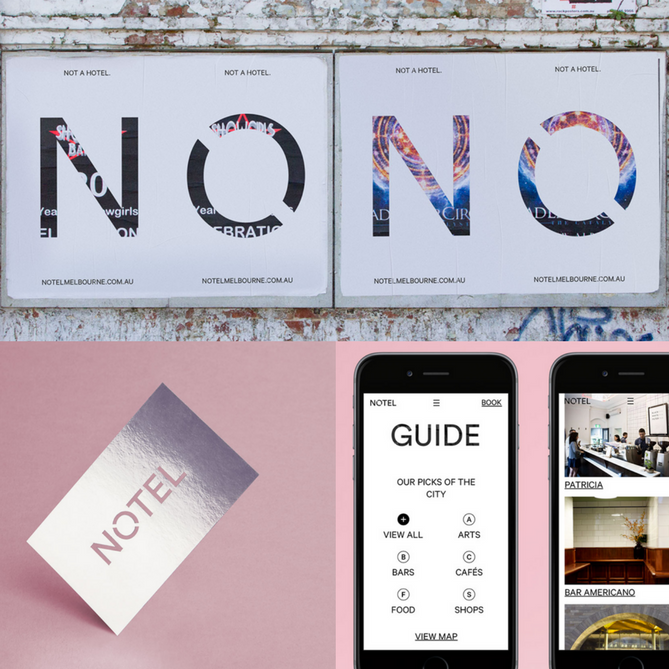 As the agency explains on their website: "The name and logo explicitly express the idea that this is ‘not a hotel’, with a subtle nod to the slashed 'no symbol'. Celebrating the best of Melbourne, reframing both high and low culture, Self-titled created the brand positioning -- 'reflecting and reframing Melbourne'. 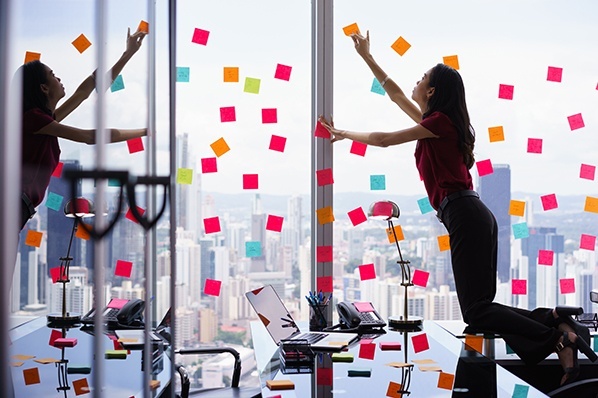 This helped inform the reflective surfaces, cut-out logo and a website design which reveals and reframes layers of content." 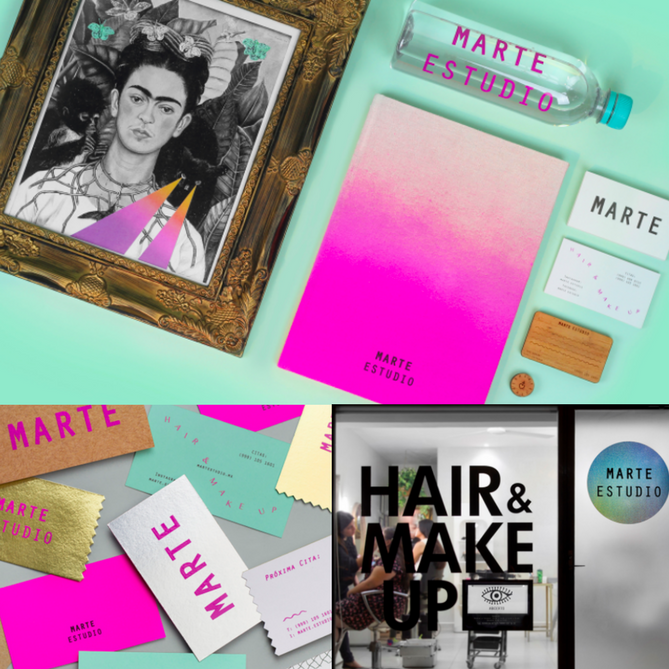 Classical art, bright colors, and modern design elements come together in the branding for this Mexican hair and makeup studio. Created by design agency Bienal, the eclectic physical space and promotional elements were developed to reflect the bold, vibrant personality of Marte Estudio's creator, Mariana Abraham. When you think of an auto body workshop, great branding probably isn't the first thing that comes to mind. 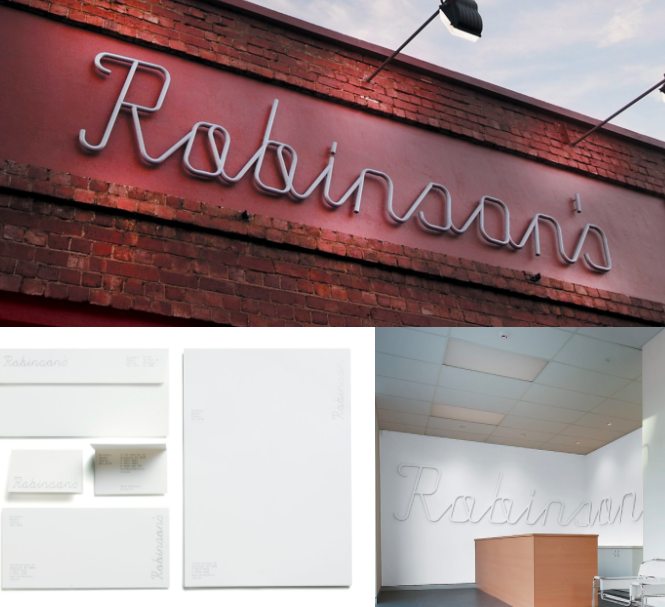 But thanks to agency Parallax, Robinson's Accident Repair Center has a sleek, retro-inspired logo, minimal branded materials, and interiors to match. 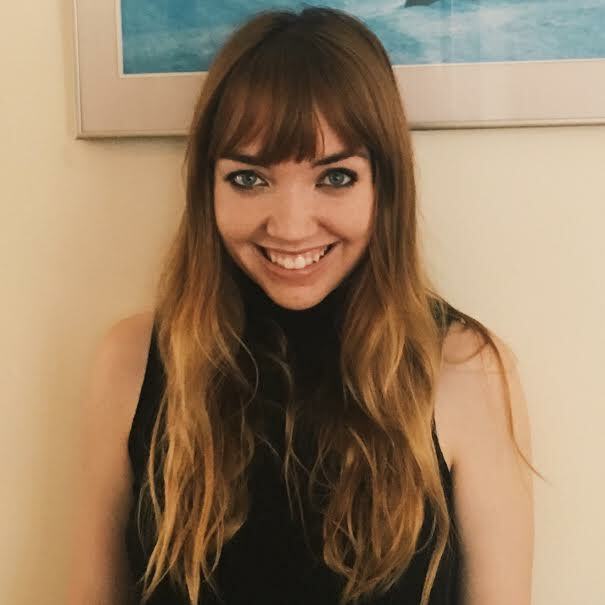 Mandy Mazliah created her blog Sneaky Veg to chronicle her family's experiences eating healthy food. 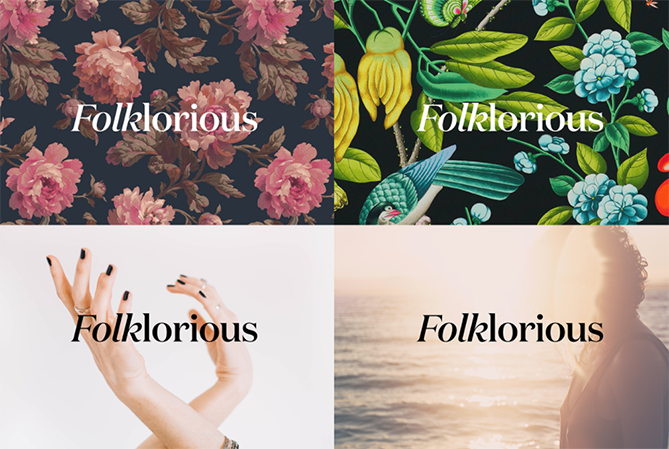 When she needed some clever, stand-out branding for the blog, designer Vicki Turner cooked up these designs. 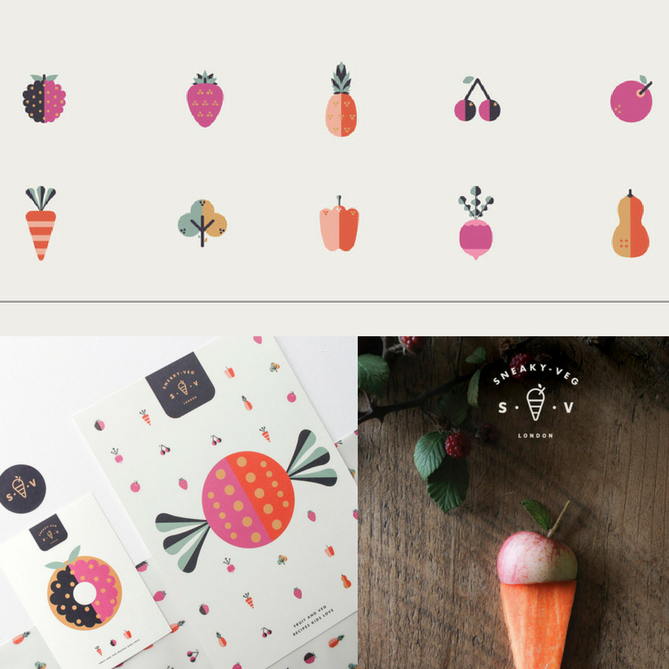 "I was asked to create Sneaky Veg's brand identity that captured the sneaky yet good intentioned methods of making wholesome fruit and veg recipes into firm kid favourites," said Turner on her website. 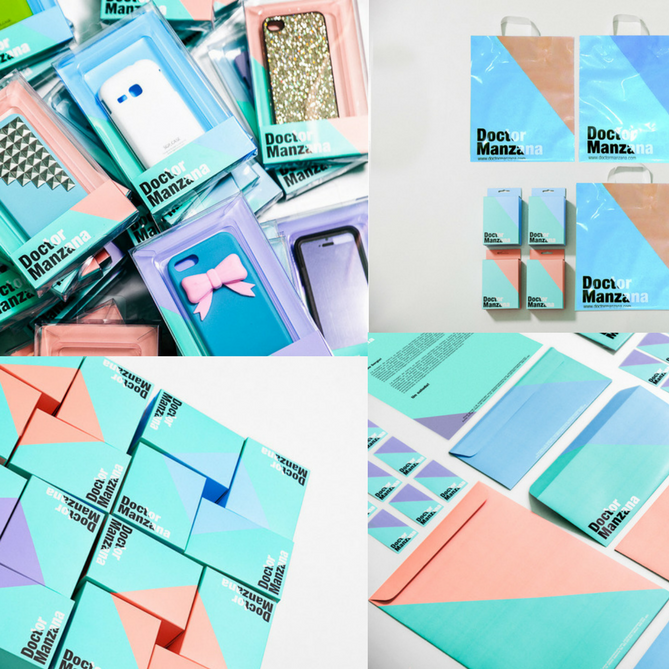 The Masquespacio team explains on their website: "A brand was designed to attract different kind of customers from fashionistas to geeks, traduced here into several kinds of colors through a brand image that plays continually with the angle of 54 degrees formed by the reflection of the mobile phones' screen."